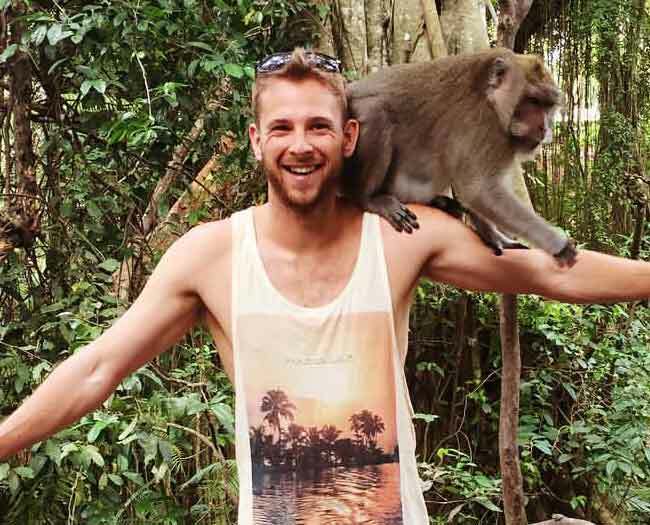 About 6 months ago, I reached out to BarProducts.com and applied for their ‘bartender of the month’ competition. And in the month of September, I won! Fantastic news :-). What made it even better though was that after I won, they reached out to me because they were interested in what I was doing with CraftyBartending.com. 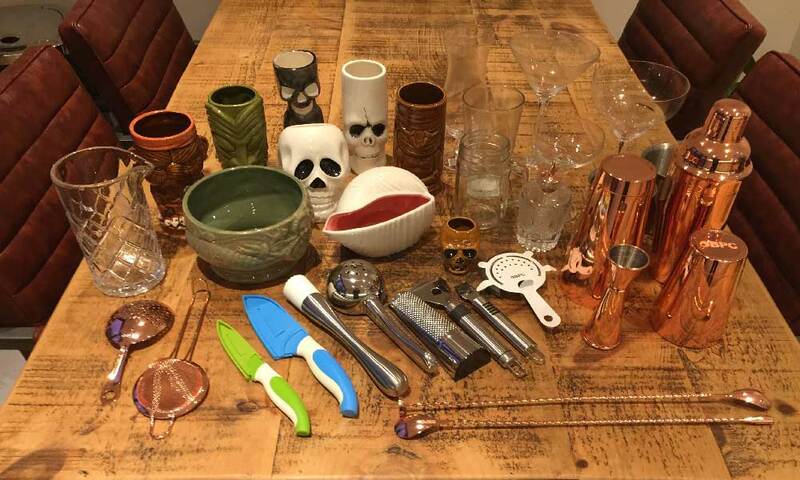 I told them what it was about and then explained that I was looking into starting a YouTube channel but needed to stock up on my personal barware (isn’t it funny how bartenders rarely have their own equipment at home…). So they kindly offered to send a sampling of their products so I could get the ball rolling. Of course, I was delighted. I’d heard of BarProducts.com before—what industry professional hasn’t?—but this was my first time trying them out so I was intrigued to see how their wares faired. I’m happy to report that even though I set the bar high (pun intended), these products managed to exceed my expectations on several levels. They’re functional and attractive—easy to use, and pleasing to the eye. A classic combination! They’re well made, meaning that I won’t have to replace them as frequently as lower-quality barware. They’re reasonably priced, considering their quality. They offer a HUGE variety of products and ship worldwide. I mean MASSIVE. It’s crazy how many different products they offer… It must be a nightmare to manage! If you’d like to learn more about some of their different barware, bar tools, glassware, and accessories range, read on! I’m about to go over a sampling of items from a few different lines, pointing out what makes each one stand out from the competition. I was particularly impressed with this line of bar tools. The Olea Range is an exclusive BarProducts.com range meaning that you can’t get them anywhere else. They’re beautiful, functional and well-made. 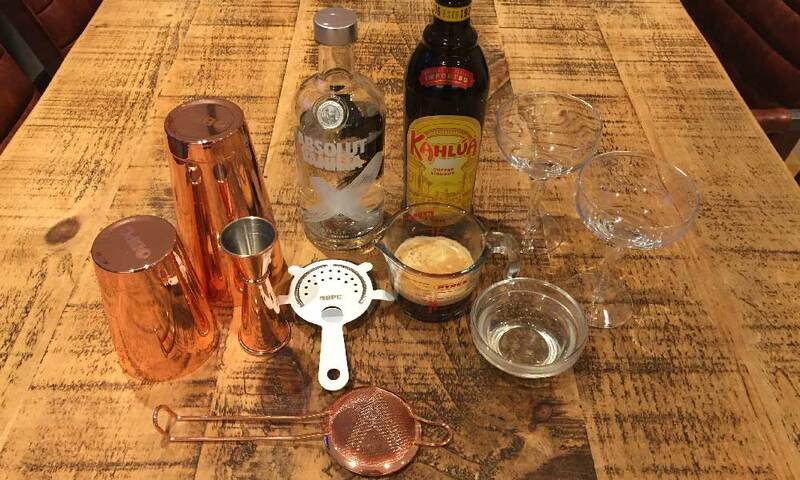 All of the items listed below are essentials for anyone who’s serious about mixology so any would be a worthwhile addition to your bar tools collection. This attractive set includes a 28-ounce base tin and a smaller 16-ounce model that creates the perfect seal for shaking a martini or other craft cocktail. Crafted of stainless steel and plated with a gold finish, they should hold up to years of entertaining. If you’re just getting started, Olea also offers a matching 3-piece, 24-ounce cocktail shaker that includes a built-in strainer. Personally, I prefer the 2-piece set. This is another matching item from the line, offering the perfect 1-ounce or 2-ounce pour every time. The Japanese-style construction allowed me to maintain a solid grip on the jigger to avoid spillage. 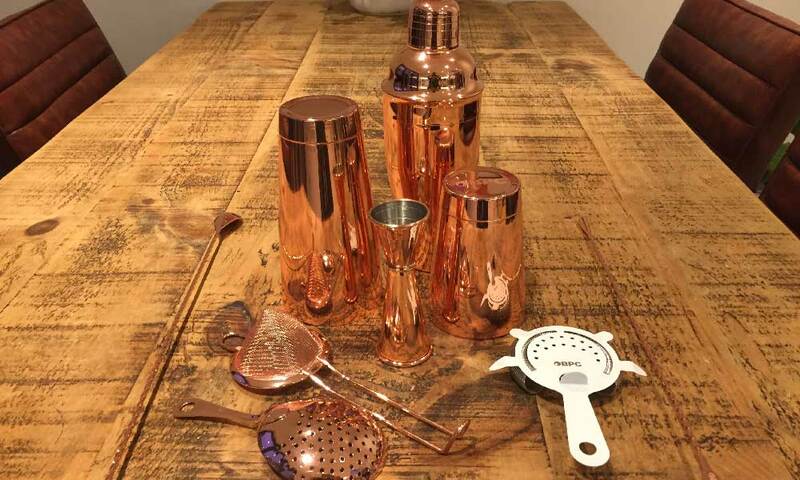 Note that these copper-plated offerings are not dishwasher safe—they’ll need to be hand-washed at the end of a busy service. This tightly coiled, four-prong strainer will fit most standard mixing cups and cocktail glasses. The white color is distinctive without being obtrusive, and the seal was tight enough to allow only the merest slivers of ice to escape into the martini glass. The easy-to-grip handle and balanced weight of this bar spoon made it easy to distribute the fresh mint in my latest batch of mojitos. It measures 40 centimetres from end to tip, so it should work in most pitchers, as well as standard glasses. If you’re like me, you like to keep your tools all in one place when they’re not in use, so you know right where to find them. This canvas-and-microfiber roll will safely store a variety of tools, from strainers to bar blades to mixing spoons. The construct is durable enough to travel well, and it measures a generous 26 inches wide by 17.5 inches long. I didn’t think I would ever relinquish my trusty bar blade, but this nifty gadget turned me into a believer. I even managed to get it engraved with the Crafty Bartending initials! It’s just as handy when it comes to cracking tallboys open, but the keyhole-shaped design also does a killer job at removing the pour spouts from empty liquor bottles. If you’ve ever wrestled with a sticky Kahlua pourer while in the weeds, you’ll know firsthand what a godsend this feature is. The first cocktail I made with these new wares, an Espresso Martini. While some of these bar products fall into the “luxury items” category, they’re worthy of consideration if you’re looking to step up your game a notch or two. These sleekly designed silver pourers do more than keep the fruit flies out—they also function as perfect pours, measuring out a single ounce of booze at a time. The set of twelve should be sufficient to cover most home bars, but professionals might want to invest in several packs—the price is low enough to make this a feasible option. I love preparing citrus juice to order—it ensures that the finished cocktail has the freshest, cleanest taste possible. This tool makes it easy to squeeze the perfect amount of lime juice into every margarita, without breaking stride. The fine-mesh strainer does a fine job at keeping out seeds and unwanted pulp. Speaking of citrus to order, is there anything that ruins a drink like a limp lemon twist? Having a zester handy will ensure that all the essential oils of the fruit make it into the glass, instead of drying out in your fruit tray. I especially appreciated the little black ridges on the handle—they kept the tool from slipping during use. During the fall and winter months, spiked eggnog and brandy Alexander are two of the most sought-after recipes on my cocktail list, and neither of these concoctions would be complete without the requisite hit of freshly grated nutmeg. Buying whole nutmeg in bulk will save enough money in the long run to make this investment a real bargain (and it makes for a superior beverage, to boot). Regular readers will know of my appreciation for a good bar knife. This one is sturdy and razor-sharp, with a nonstick coating to help ingredients slide right off instead of being rinsed down the drain later. It measures 9.5 inches long, so it won’t take up too much space behind the bar, and it comes with a protective blade cover for easy storage. I performed trial runs on a lot of glassware from Barconic—too many to list here without getting repetitive. 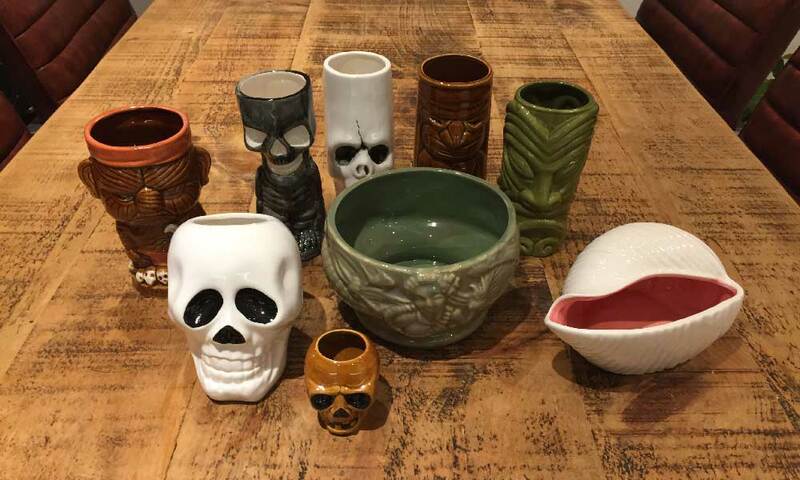 But I have to say, the tiki drinkware were the standouts. These fun and festive glasses made me feel like I was at an old-school Chinese restaurant. Just add rum, fruit juice, and a paper umbrella. These 12-ounce tumblers feature a forest-green glaze and a menacing expression. Just looking at the checkered-tooth skull motif on these squat ceramic shooters put me in a party mood. The quintessential Kentucky Derby cocktail is right at home in these 12-ounce copper-plated glasses. In a pinch, they should do for Moscow Mules as well. Long-stemmed, with an eight-ounce capacity, these glasses offer a classic profile and durable construction. With these 12-ounce mugs, even beer and soft drinks get a distinctive look. As I mentioned, these lists represent a mere sampling of the offerings available at BarProducts.com—the ones that I found especially worthy of mention. If you need to replace an outdated or ineffective tool—or want to add some snazzy new glassware to your collection—I highly recommend starting with any of the above. Cheers!